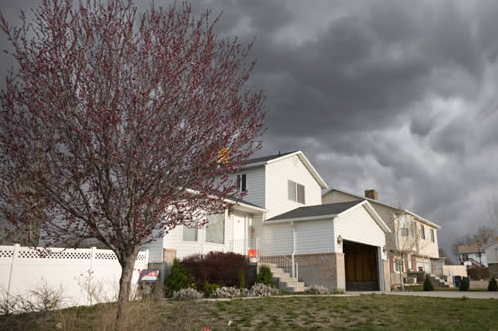 You know that your storm windows have been designed to offer the protection needed during extreme weather conditions. They also help protect your home from excessively cold or hot temperatures so that you can get greater efficiency on energy bills. While they can help block out certain noises and even ultra violet rays, storm windows are not thought of as being items that enhance the exterior of homes. Maybe storm windows on their own do not have the power to add to any room's look. But, add draperies to them and a room can be transformed into one that reflects a personal style. Add the right kinds of draperies and the performance of any storm window can be enhanced. If you do not have traditional storm windows, a very affordable way to add greater comfort throughout the home is to hang just such draperies. On their own, drapes will not provide protection for homes that need security from powerful storms or extremely high winds. You do not want to think you can protect a coastal bungalow from a hurricane with a few carefully chosen drapes. But, if that bungalow already has sufficient storm window protection, it can be enhanced with the right kinds of drapes. The drapes would provide added enhancement to the look of any room. But, they could also add much more in the way of safety and protection. Even if you just hope to reduce the amount of heat a particular room gets during the day when the sun faces directly into it, a storm window drape can easily and inexpensively help. The best type of drape for your needs usually depends on what added protection is required. For homes with no formal storm windows that only require protection from excess heat a drape that has a backing made of white plastic can provide a significant reduction in the amount of heat that enters the home. This would help the homeowner reduce their air conditioning use by a noticeable degree. Most homeowners may have some type of storm windows installed already. But, adding drapes that are suited to protect against extreme heat or cold can enhance their energy efficiency. Generally, dark colored fabrics will absorb outside sunlight and heat. This would typically add to the heat that builds up in a home. When drapes like these are hung and have a light colored backing to them, they actually keep any excess heat from getting into a room and help you save on your cooling bills. Light colored materials allow sunlight to enter a room. So, for a home that could use some extra help during winter months, hanging a heavy material in a light color would allow the sun light to help warm a room naturally. While, the added layer of fabric over the windows would keep cold air from transferring inside. These may be especially helpful for homeowners who need extra protection against cold, but do not have storm windows. Ideally, the way in which the drapes are hung helps maximize their performance. You want to make sure the drapes are hung close to the window and reach the floor. Or, for windowsills, ensure that the drapes reach the sill. Cover the sides at the top and center of the drape, too, so that no traces of cold air can leak inside. Even for homeowners that do have storm windows hanging storm window drapes is just one way to decorate the home and contribute to energy efficiency and comfort at the same time.